Inflationary crises, like the one looming over Turkey, are bad news for any government, but they are especially dangerous for a certain subset of authoritarians: populist strongmen. They are unusually prone to creating this sort of crisis, unusually inhibited from fixing it and unusually slow to recover. They have, on average, higher rates of inflation and more artificially undervalued currencies. Their central banks are less independent, making them less capable of intervening. Potentially catastrophic on their own, these are symptoms of a set of weaknesses and liabilities that go beyond monetary policy to the core of populist strongman rule. Before Turkey, there Nicolás Maduro in Venezuela and his predecessor, Hugo Chávez, who oversaw their country’s fall from prosperity to ruin, partly by plowing into an inflationary crisis. When this happens in democracies, elected leaders are typically replaced with new ones who eventually rein inflation in. It has happened many times in Latin America alone: in Nicaragua, Chile, Peru and Argentina. Other sorts of authoritarianism, run by a party, military or monarchy, may collapse, as happened in Brazil, but often they have the will and flexibility to impose some sort of reform. Populist strongmen — because of their relationships to their citizens, their fellow elites and to their own policymaking apparatus — tend to be different. Mr. Maduro printed more money, worsening the crisis dramatically. A decade earlier, Robert G. Mugabe of Zimbabwe did much the same thing, to much the same effect. Whether Turkey’s president, Recep Tayyip Erdogan, ultimately follows the same path, he already is repeating the familiar patterns of a ruler constrained and guided by his system in ways not always in the country’s long-term interests. Turkey’s meltdown, more than just a product of Mr. Erdogan’s power grabs, is a microcosm of the pathologies inherent in his style of governing, and that of other populist strongmen. And it is a reminder that, although their system seems to be rising in the world, it comes with special risks that make it, on average, more likely to collapse. Any dictator knows that inflation — which erodes legitimacy with the public and angers powerful elites who expect payouts — can pose existential risks. Elected leaders will merely lose office (most of the time), but an authoritarian state can more easily collapse outright. In 1989, workers angered by inflation in China joined idealistic students in protests that the government answered with one of the modern era’s bloodiest crackdowns. Inflation can be so dangerous for authoritarians that it can also prompt otherwise unthinkable reforms. Vietnamese leaders, worried that a run of inflation in the 1980s could bring down the communist system, shifted to a more market-based economy. Iran’s inflation surge, in 2013, fed into public dissatisfaction deep enough that the hard-line supreme leader stood by as voters ushered a relative moderate into the presidency. All forms of authoritarianism are susceptible: one-party states (think China or Cuba), monarchies (Saudi Arabia) or military dictatorships (Thailand today, others in the recent past). But a strongman — a charismatic leader, consolidating power for himself and smashing institutions that might challenge him — can make such crises easier to start and harder to contain. Much of that has to do with how strongmen typically come to power: by rising within a flawed democracy or, in some cases, a military or one-party regime. This leads them to dismantle the old system, which they see as a threat. That is often where the trouble starts. “Insecurity over their futures can incentivize them to make choices that are bad in the long term,” said Erica Frantz, a scholar of authoritarianism who teaches at Michigan State University. As they slash away at institutions and rivals, undermining their own legitimacy, they are more desperate for growth and more panicky about seeing it slide. This often inspires dangerous overspending or, in Mr. Erdogan’s case, overborrowing. His government encouraged firms to spend wildly on foreign currency loans, driving tremendous economic growth, which protected Mr. Erdogan’s popularity even as he restricted political rights. But the debt set up a now-exploding currency crisis. China has seen its share of boondoggle infrastructure projects and overinvestment. But dictatorships run by an entrenched royal, military or party bureaucracy have something that strongmen often feel compelled to destroy: institutions. Even if authoritarian institutions are hardly fair or just, they are at least predictable and can be, within limits, independent. That makes them better able to manage or forestall problems. Particularly the central bank. If a dictatorship’s central bank is seen as credible and independent, research finds, inflation is easier to restrain. But if the central bank is seen as susceptible to arbitrary or erratic political meddling — as often happens with institutions in strongmen-dominated systems — then inflation can rise out of control. Strongmen like Mr. Chávez or Mr. Erdogan, who installed his son-in-law as finance minister, tend to meddle with their central banks, both to juice short-term growth and out of a tendency to see independent institutions as threats rather than partners. Inflation rises, a precursor of worse to come. Such leaders undermine their economies in other ways. When a country’s legal system erodes, according to a 2008 study, inflation tends to surge. Even if rule of law is only weakened in a few sectors, this eventually catches up with central bankers, who come to act less as independent stewards than as loyal, or fearful, cronies. Bureaucratic dictatorships like China’s often try to bolster their legal systems as a way to cement their rule, even if those legal systems remain deeply flawed. 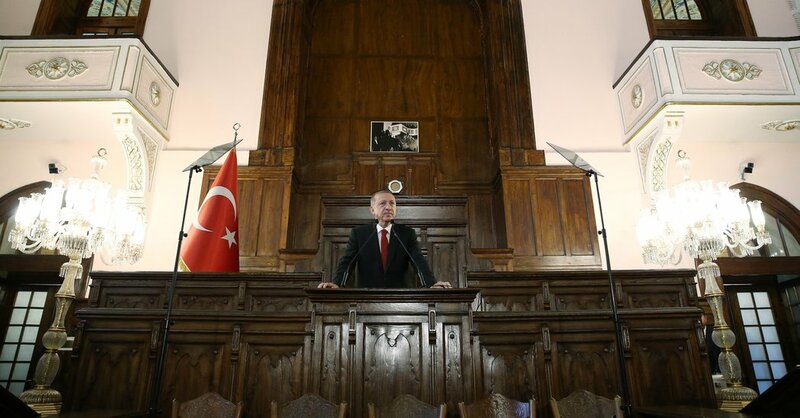 But a leader like Mr. Erdogan, who purged swathes of his country’s judges, tends to see the judiciary as a threat. Under strongmen, economic management tends to be less competent, and therefore likelier to fuel a bubble or debt rather than growth. Lower-level officials know their first duty is to please and glorify the leader, so are more prone to overpromising or covering up. Loyalty trumps competence. In a more bureaucratic system, at least in theory, competence trumps loyalty. Officials are held to long-term goals and the leadership feels secure enough to learn from unwelcome economic data. It’s not that such leaders are more enlightened, merely that their incentives align with long-term stability over day-to-day image management. Under a strongman-style rule, even the leaders themselves grow demonstrably less competent. In her research on how dictators behave in war, Dr. Frantz found that “personalist dictatorships don’t always have access to accurate information or insightful advice,” she said, using the academic term for strongmen. By isolating themselves in a bubble of sycophantic loyalists, they set themselves up for disastrous errors. The result is often that strongmen do not just overspend or overborrow — they do so unwisely, erratically and with little sanity imposed from central banks or other institutions. They can careen into crises that other countries would at least try to steer around. The strongman’s relationship to powerful elites may make things worse. Mr. Maduro, for instance, grew more fearful of a coup as the economy declined, so he siphoned off resources to military leaders and the handful of other powerful insiders he could count on. Strongmen, dedicated as they are to crushing rivals, tend to enjoy the support of only some members of their country’s elite, so need to keep them happy. That can distort the economy, as those members often belong to sectors that were lucrative when they came up but may have grown outdated. Mr. Erdogan’s zeal for construction, where much of the overborrowing took place, may be instructive. For years, analysts thought this pattern might doom China. Its most powerful figures controlled vast steel and construction empires, which benefited from policies at odds with the consumer industries the country needed to transition its economy. Many assumed the old industrialists would block such changes. Instead, the steel barons were brought to heel — something more easily done by a vast authoritarian bureaucracy than a lone strongman who needs to worry about his inner circle. Even Saudi Arabia, a monarchy with its own collectives and institutions, though deeply troubled, has forced through changes that disfavor a certain old elite. Though a strongman’s sense of insecurity may lead to poor choices, his underlying fear is rational. Strongman systems are by far the likeliest form of government to collapse, more so than even the world’s most oppressive states. But, as the lira plummets in value, the greatest risks are borne by Mr. Erdogan’s citizens, and not only in economic terms.